I found this at an estate sale and it had a price tag of $250, however the man running the sale appreciated the sales he made to me and offered it to me for $175. 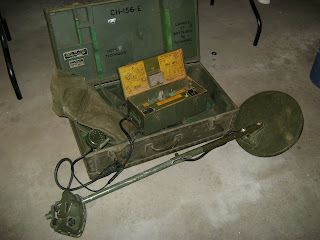 I thought that was a great deal since I figured that this was rare and that war collectors would love it. Nope. Sold it for $50. At least the buyer picked it up so I didn't have to mail it.